Internshala and the Information and Communication Technology Academy of Kerala (ICTAK) have signed an MoU to help students in Kerala secure internships. New Delhi: Internshala and the Information and Communication Technology Academy of Kerala (ICTAK) have signed an MoU to help students in Kerala secure internships. This move will help in creating more internship opportunities for students in Kerala. Internships help students' improve their technical competency and soft skills, and thereby improve employability quotient in them. ICTAK, a social enterprise, created in a public-private partnership model, is working to improve the employability of students and has recognised internships as a solution to make students industry ready. ICTAK started its operation in 2014 for imparting information communication technology skills to the youth of Kerala and improving their employability opportunities in the industry. Over the last couple of years, the organisation has worked towards the cause with the support of Government of India, partnered by Government of Kerala and the ICT industry. As a part of this partnership, ICTAK will also work to create internships in the state through its existing network of partners. Under the MoU, Internshala will extend the benefits to colleges registered with ICTAK to help with their students' internship needs. 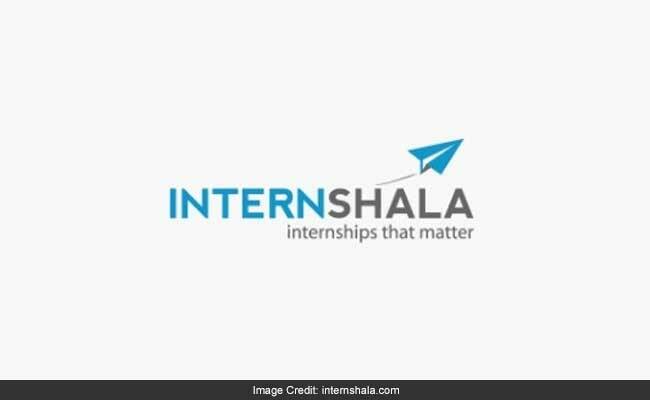 According to a statement from Internshala, students will have access to all the internships (4 lakh + internships every year) listed on Internshala free of cost. The platform will also organise online workshops for students on internship preparation. The colleges will be able to track the number of students who have secured an internship via Internshala. Further, Internshala will focus on providing career guidance and counseling to the students. It also plans to create and promote the success stories, through offline and online channels, of students who land an internship. "Since the inception of ICTAK, our focus has been to develop more programs and opportunities for the benefit of the youth in Kerala. The world is extremely competitive and internships equip students with practical knowledge and skills to land the right job. Through the collaboration with Internshala, we hope to increase the employability rate among the youth in the state," said Santhosh Kurup, CEO, ICT Academy of Kerala. "Internships can help students develop essential practical skills while giving them an opportunity to experience the corporate world," said Sarvesh Agrawal, the founder and CEO, Internshala. "We at Internshala have been steadfast in our mission to help the youth take the first step in their careers through a meaningful internship. We are excited to collaborate with ICT Academy of Kerala and join their efforts in providing more opportunities to the students in Kerala." Founded in 2010, Internshala is India's largest internship and trainings platform offering 4 lakh + internships every year. Over 2.5 million students and 70,000 businesses use the platform. Students and young graduates can find internships across different domains such as engineering, management, applied arts, architecture, law, hotel management, and so forth. Internshala has also collaborated with Telangana Academy for Skill and Knowledge (TASK) and Andhra Pradesh State Skill Development Corporation (APSSDC). Recently, the platform has launched India Employed, an initiative to help graduates build their career through internships with a pre-placement offer.